Previously he co-wrote and directed "Sin Memoria" for Lionsgate Entertainment and Grupo Televisa. "Sin Memoria" which stars Mexican actors Martha Higareda (Street Kings) and Emilio Echeverria (Amores Perros) is being released wide in Mexico in January 2011 followed by a US release later this year. 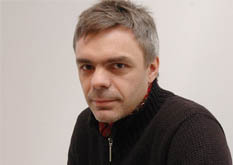 Prior to "Sin Memoria", Borezstein wrote and directed "La Suerte Eestá Echada" (2005) which won numerous awards including, the New Filmmaker Award from French Critics Society at the Toulouse Latin American Film Festival, and the Rail D ’Oc prize for best screenplay and Audience Award at the Trieste Latino Cinema Festival. Before making features, Borenzstein was one of the most successful and prolific TV producers, directors and writers in Argentina. He started working for his father, the comic legend, Tato Bores. From 1988 to 1994, Borensztein won numerous national awards including the prestigious Martín Fierro award (the Argentinean Emmy) and the Ondas award, awarded to the best Spanish language series in the world. He created nearly a dozen TV series in the 90’s including "El Garante" which won dozens of awards including four Martín Fierro awards and a nomination for the international Emmy. In the year 2000 Borensztein won the Konex award in Argentina, recognized as one of the five best directors of the decade. That same year he created the series "Tiempo Final" which not only broke records for rating in Argentina, it has been transmitted in more than 50 countries. It has been sold as a format to Fox Television for Latin America, as well as selling for remakes in Spain, Russia, Israel and others. Tiempo Final was also nominated for an international Emmy. In 1980’s Borensztein started his career working in publicity for McCann-Erisckon, Ogilvy and others and has directed TV commercials regularly all over Latin America for the last decade. He holds a bachelors degree in Communications from the University of Salvador. Sebastián Borensztein is an award winning screenwriter and director. Borensztein is reciently won the Goya Prize given by the Spanish Films Academy as a best iberoamerican film "Un Cuento Chino" starring Ricardo Darín, (star of Oscar winning "The Secret of Your Eyes" and Oscar nominated "The Son of the Bride") as well as two Marco Aurelio Prize (Best Film and Prize from the Audience) at Rome Film Festival, as well as Manheimm Heidelberg Film Festival in which "Un Cuento Chino" won Best Film and Werner Fassbibnder Prize, as well as Argentinian Academy of Films Best film award among other international awards.